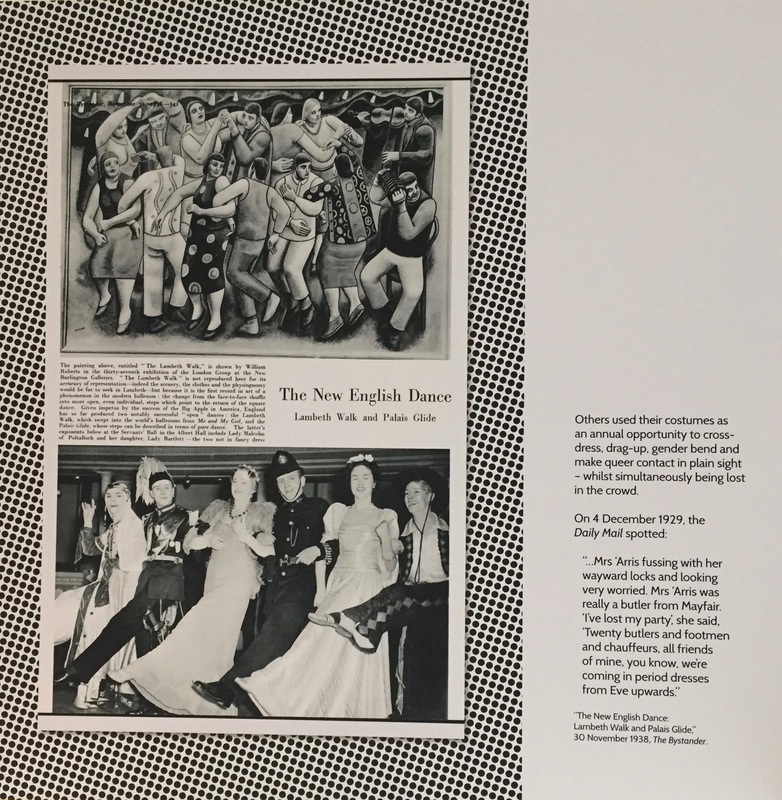 "Officers have reported young men of the effeminate type in coloured silk blouses and tight-hipped trousers, their faces rouged and powdered, dancing in the most objectionable way." 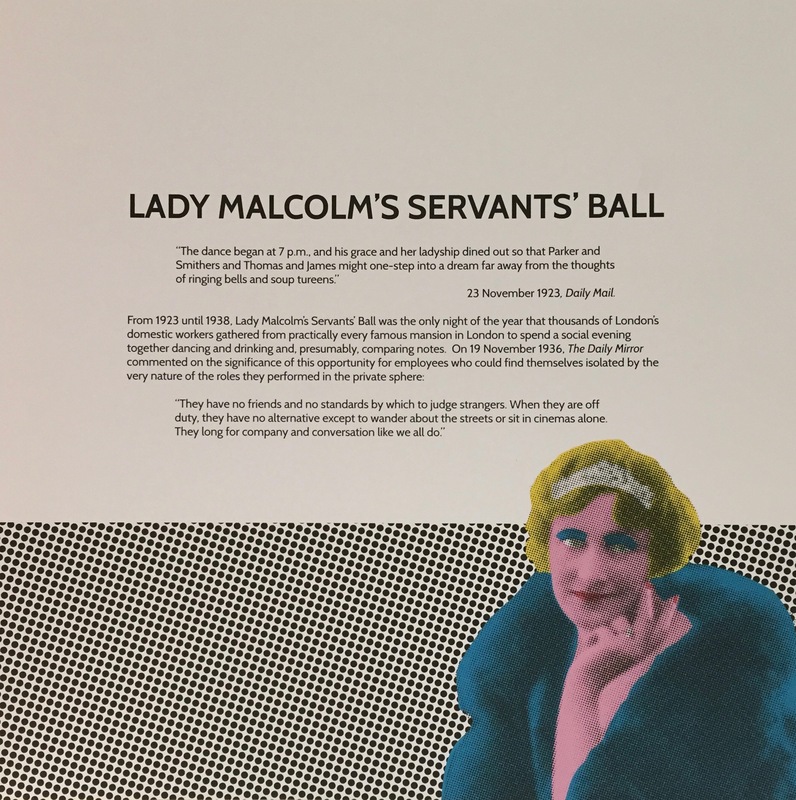 Lady Malcolm’s Servants’ Ball was a notorious party on London’s queer scene in the 1920s & 1930s. 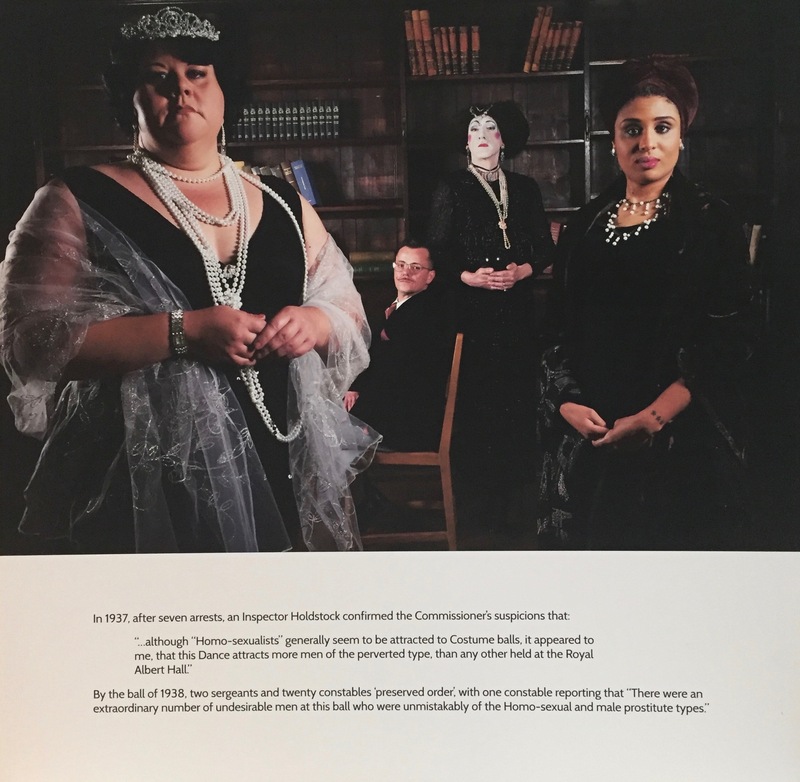 Despite the organisers warning against ‘undesirables & degenerates’, working class queans, dykes, inbetweeners & trans-gressives flocked to the ball. 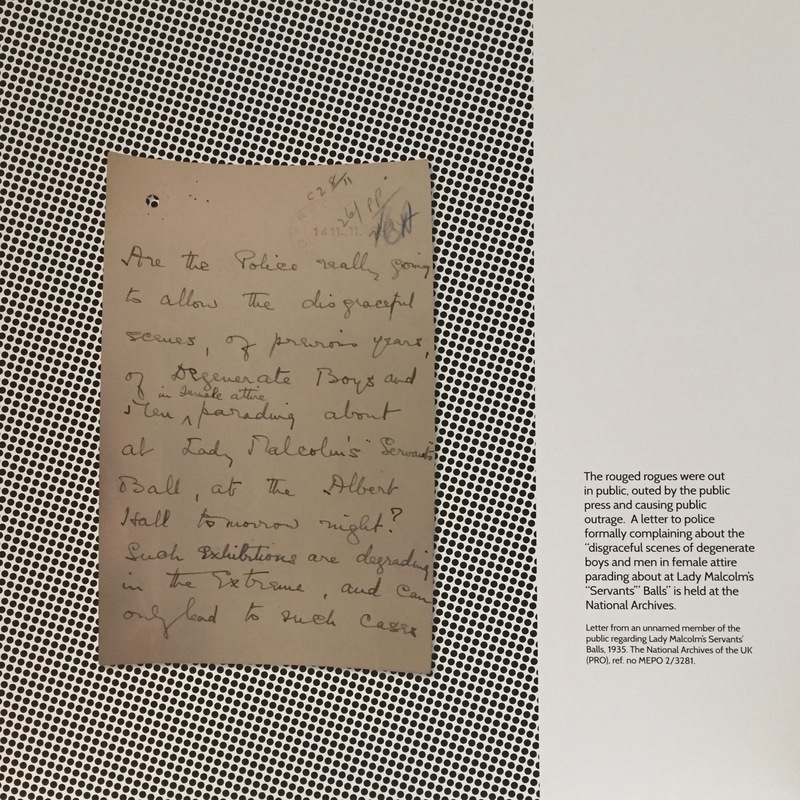 Their surviving stories reveal the secret lives of queer folk back in the day and the interplay of class, gender and sexual identity between the wars. 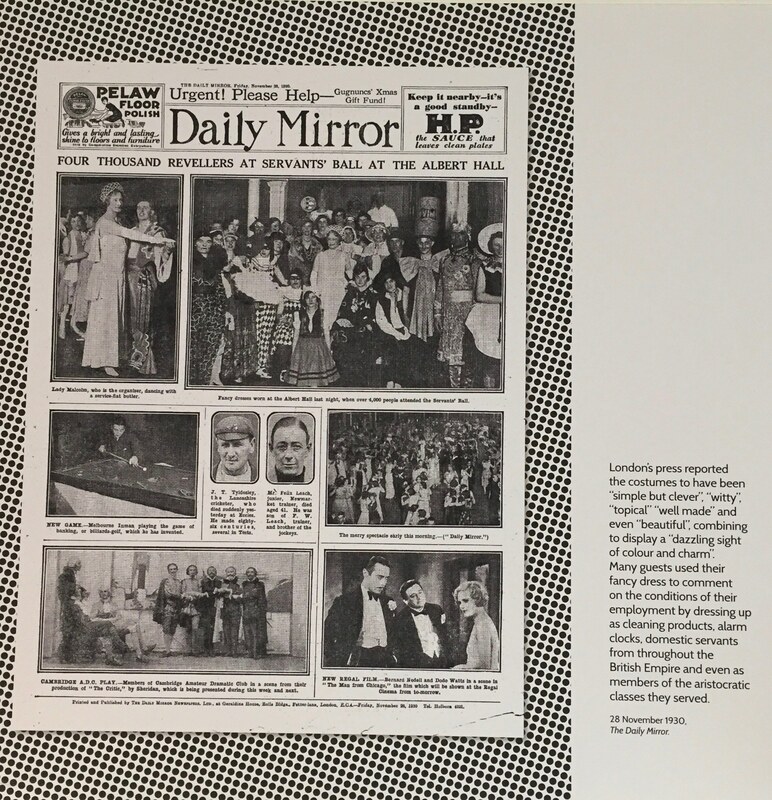 Nearly a century later, Duckie re-enacted the ball at the Bishopsgate Institute as an homage to the lives of those that came before us. 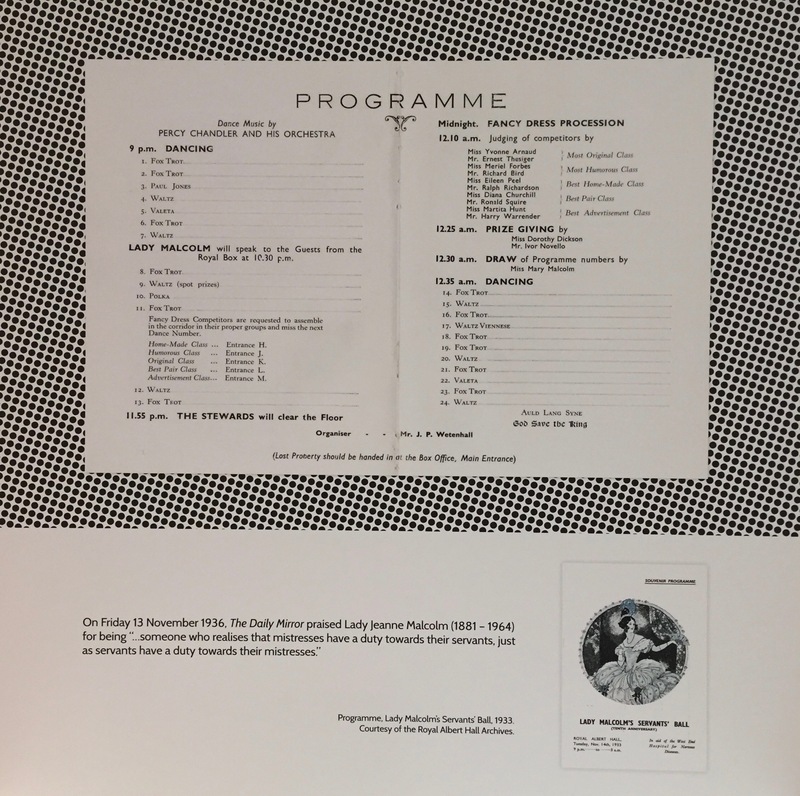 The big balls starred Le Gateau Chocolat, The Drakes, Christopher Green, Lasana Shabazz, Amy Lamé, Neil Bartlett, Acantha Lang, George Chakravarthi, Lucille Power, Lavinya Co-Op, Sue Frumin and The Pink Dancers. Designed by Laura Hopkins, looks from Tim Spooner, Robin Whitmore & Phoenix Thomas, choreography by Florence Peake, Ralf Schiller & The Bees Knees and hep cat dance music and intoxicating interwar influences from Readers Wifes, Auntie Maureen, Dom Pipkin, Wrench & Franks & Unskinny Bop. 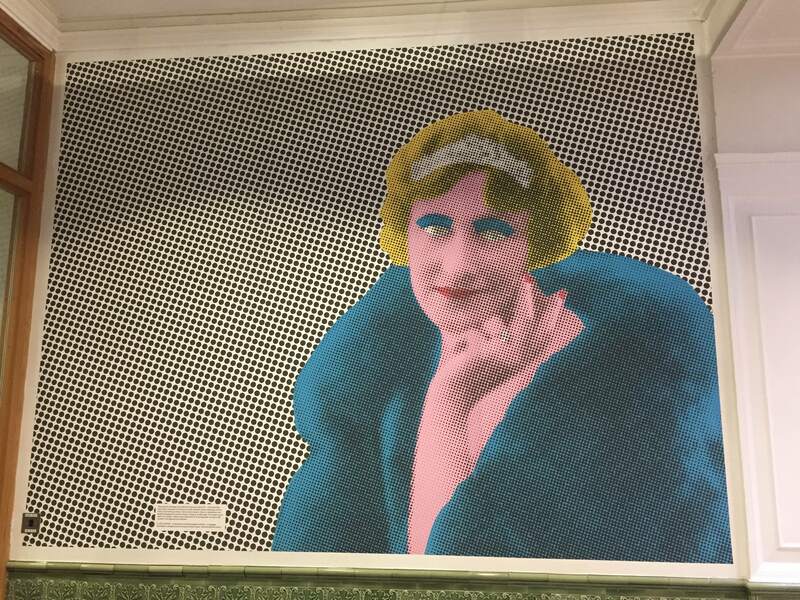 People dressed as ... a clown, a mermaid, Queen Mary, a nun, a baby, a policeman, Gloria Swanson, a peasant, a gangsters moll, a masked Venetian wanker, a cavalier, a fairy, a soldier, Charlie Chaplin, a trombone, Queen Victoria, Louise Brooks, a trugmoldie, a banker, a cat, a dog, a bright young thing, a surrealist, St Paul's Cathedral, Josephine Baker, Coco Chanel, a tin of Spam, a banana, Al Capone, Anna May Wong, an Art Deco painting, a tramp, Rudolf Valentino, the Empire State Building, a ballet dancer, Amelia Earheart, the Dolly Sisters, a bride ... or anything they damn well liked. Facebook event page was here. 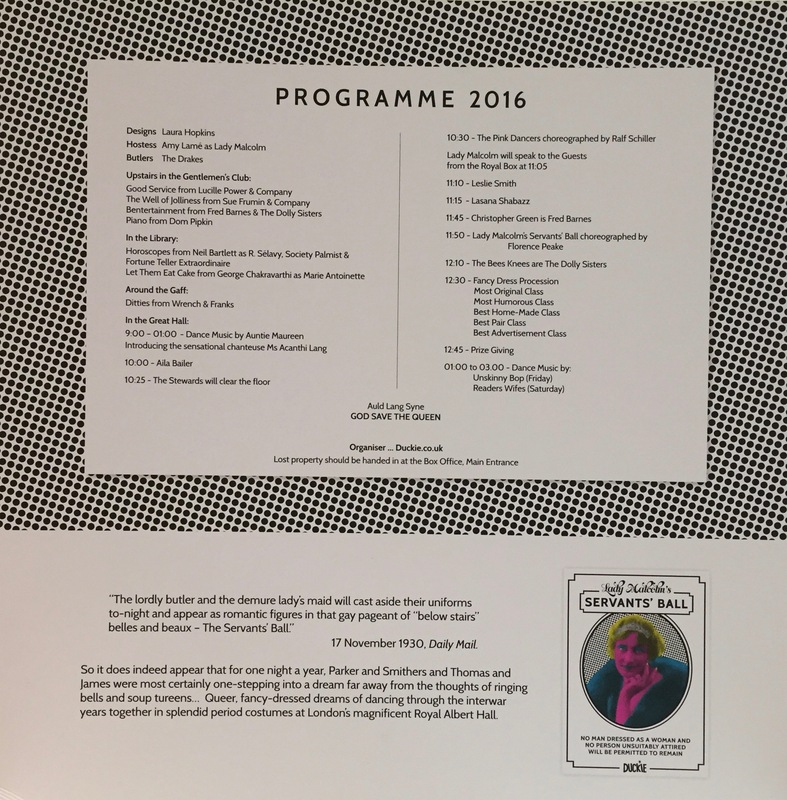 There is a review of the event here in Exeunt Magazine. 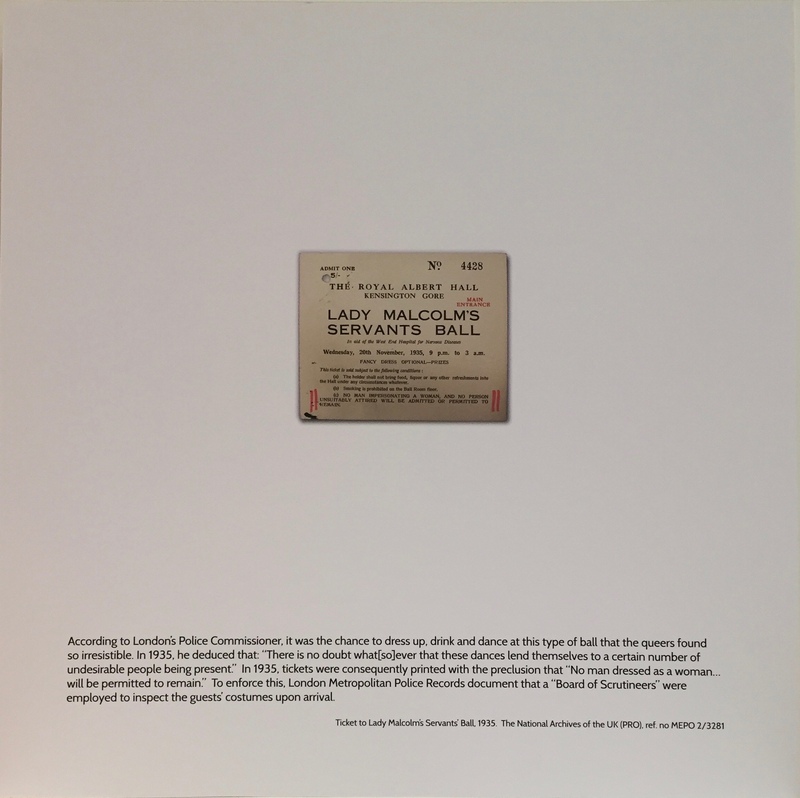 After ‘Gross Indecency’ in 2010 and ‘Gateways’ in 2013, this is the latest of Duckie Vintage Clubbing Series; an homage to the London queers who came before us. 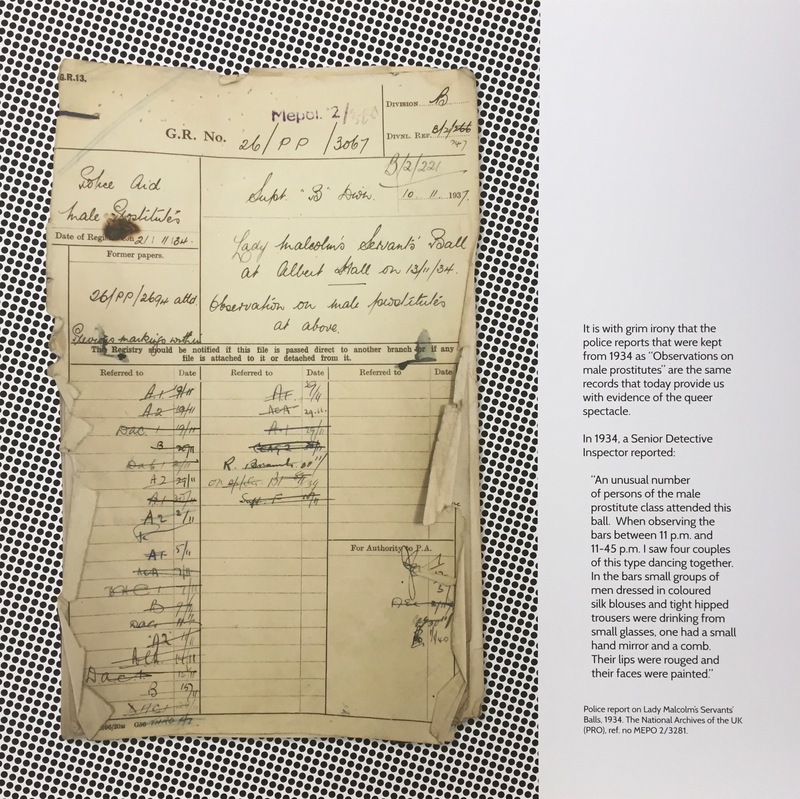 The research was led by Duckie's Archive Curator E-J Scott with his team of researchers: Sue George, Donald Pulford, Mark Lynch & Simon Dodi. 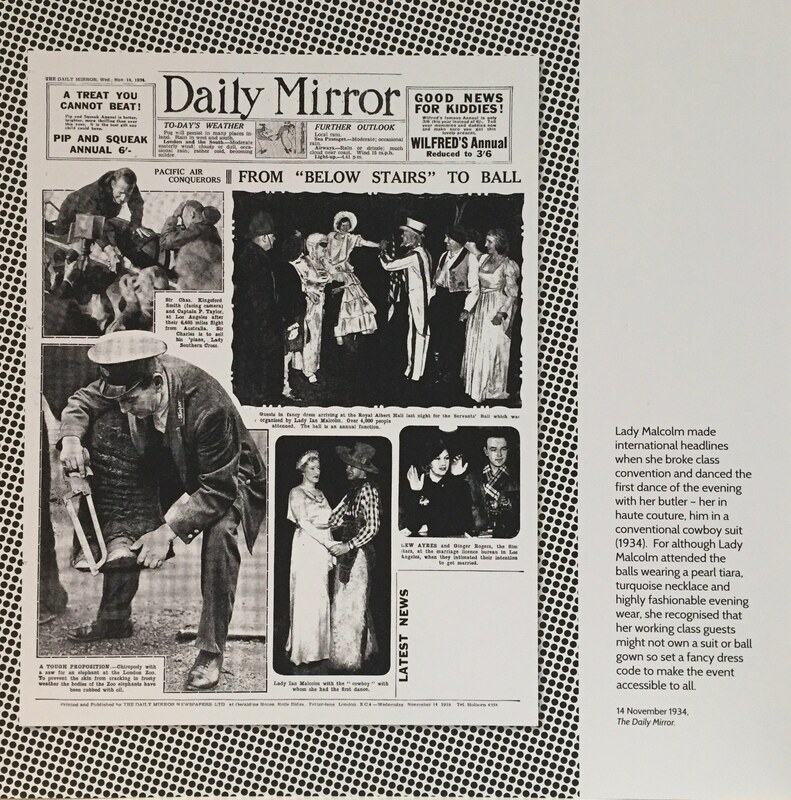 Below are the images of the Archive Display that was on show at Bishopsgate Institute from June until December 2016. 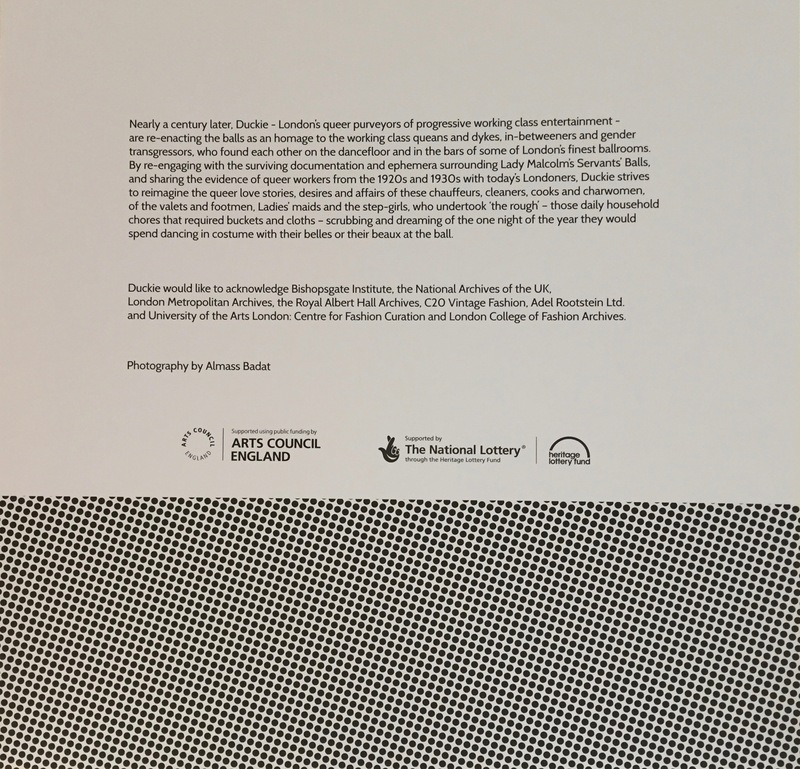 Curated by E-J Scott and mounted by Zed Gregory, the display used materials from the National Archives of the UK, London Metropolitan Archives and the Royal Albert Hall Archives. 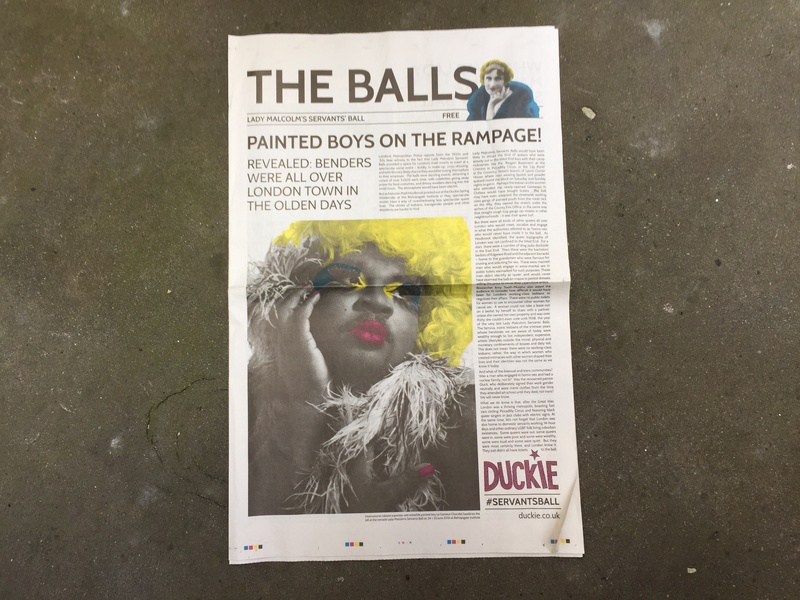 Here is the queer heritage newspaper 'The Balls'.